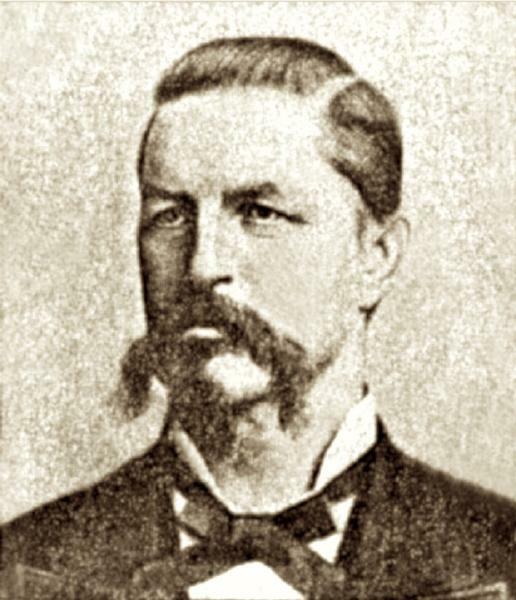 William H. Watson was born in 1835 in England. He married Sarah Warren circa 1854. He was a successful nurseryman, established "Rosedale" near Brenham in Washington County, Texas, and was elected president of the Texas State Horticultural Society in 1889. He served as a private in Copany K, 1st Texas Infantry Regiment, CSA. He enlisted on 2 April 1863 in San Augustine, and was wounded at Chickamauga on 19 September. William H. Watson became a widower at the 1867 death of his wife Sarah Warren. He married Caroline J. Thomason, daughter of James Hendon Thomason and Mary A. (? ), circa 1868. William H. Watson and Caroline J. Thomason appeared in the US federal census of 1 June 1870 in Brenham, Washington County, Texas. Other members of the household included William E. Watson, Ann E. Watson, David H. Watson, Archibald W. Watson, James L. Watson, James Hendon Thomason and Mary A. (?). Also in the household was Robert McFarland (age 9, born in Texas), a German-born gardener, and two domestic servants. He was a nurseryman, according to the 1870 census. William H. Watson and Caroline J. Thomason appeared in the US federal census of 1 June 1880 in Washington County, Texas. Other members of the household included William E. Watson, David H. Watson, Archibald W. Watson, Arthur Watson, John Watson and Stanley Watson. Also in the household were a gardener, eight laborers and one domestic servant. William H. Watson died on 19 August 1897 in Brenham, Washington County, Texas.